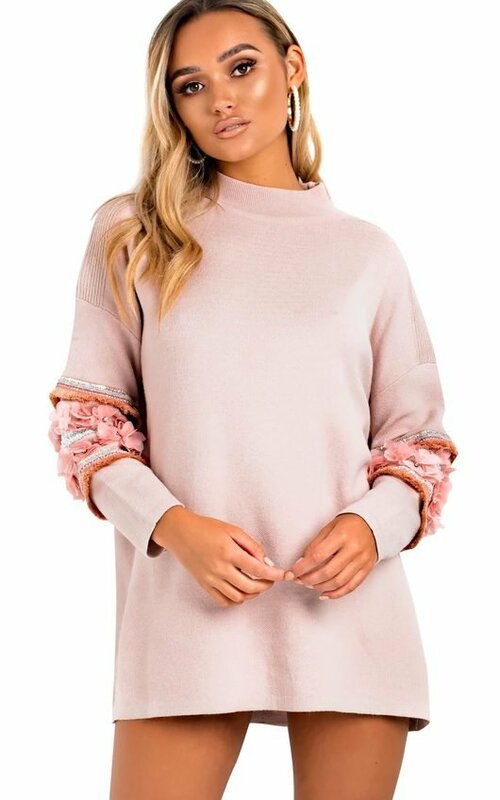 GIRL we are obsessed with our JENI oversized jumper. 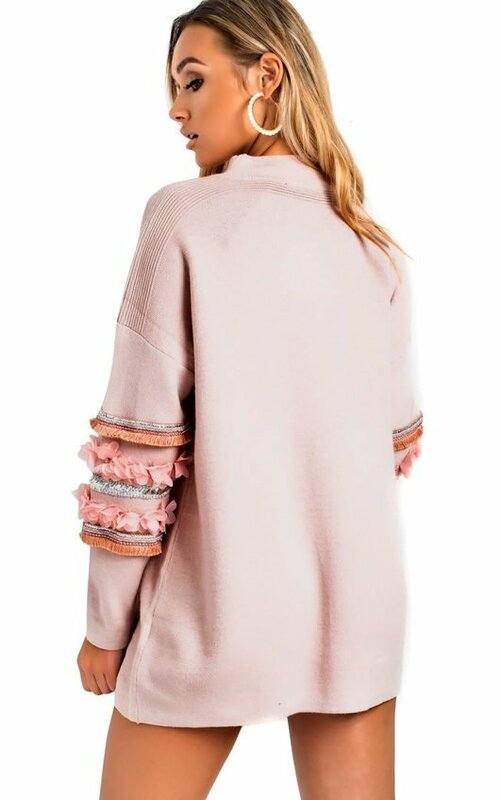 Featuring flower detail, jewel embellished sleeves and soft fabric. Style with knee high boots for a chic casual look this season!